When filing an injury lawsuit, you will normally have to clearly demonstrate that the person who caused your injury was negligent in some way. 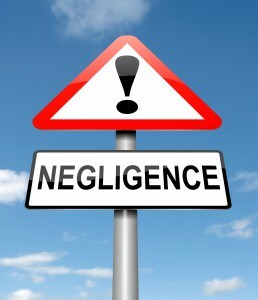 Negligence is legally defined as carelessness that leads to injury. If the defendant is to be proven responsible for the injury, demonstrating negligence will be an important component of your case. A personal injury lawyer is highly experienced in demonstrating and proving negligence, which can in turn win the personal injury case for you. All of the above requirements are helpful in proving that the defendant bears the responsibility for the injuries that occurred. The most successful personal injury cases will be able to establish all four of these things clearly, but since each case is different it may be possible to win a personal injury case even if some of the factors are less obvious than others. Each of the four requirements for negligence can be proven in very specific ways. Although the specific type of injury can impact the way that each aspect of negligence is demonstrated, in most cases the following things apply. This is sometimes open to interpretation, so it is important to establish responsibility as clearly as possible. In cases like auto accidents where a driver ran a red light and an accident resulted, it will be fairly easy to establish that the driver failed to fulfill their responsibility towards the safety of others on the road. However, other cases are less clear. For example, if a homeowner has a fully fenced yard that contains a trampoline, are they responsible for keeping children from jumping over their fence to play on that trampoline? What if a child were to jump over the fence and break their leg on the trampoline? In such a case, the injured child's parents might try to show that the homeowner had responsibility of care, but it is considerably more challenging. For this part of a negligence case, it becomes important to consider how an ordinary person would have reacted to the situation that led to the injury. For example, any normal business owner would be aware that when their employees mop and wax the floor, leaving it slick and wet, that a "Caution Wet Floor" sign should be posted for visitors. If a sign is not placed where visitors can see it, the business owner will often be found negligent, since most people in that situation would have reacted by posting cautionary signage. It is the responsibility of the plaintiff to demonstrate that the defendant's failure to take action caused them to be injured. There may be many clear cause and effect situations, especially in situations like auto accidents. For example, if a person is driving 20 miles over the speed limit and runs into another driver, the cause of the injury is clear. In other cases, it may be less obvious. This is particularly true in cases where a pre-existing injury may be involved. If the cause is not clear, a skilled auto accident attorney can find creative ways to strengthen their client's case. To be properly compensated in a negligence case, the injured person has to demonstrate monetary damages. The bulk of these damages are typically medical costs, which makes it fairly easy to arrive at a monetary figure. However, there may also be a number of non-medical costs. Time missed from work is a significant damage in many cases. 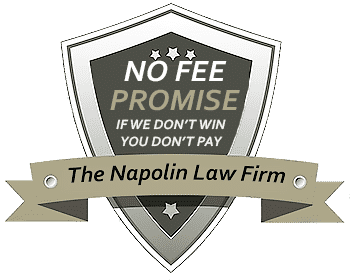 A personal injury attorney can help you determine whether there are other monetary damages that can be included in your negligence case as well.